Hi, I'd like to show you this page I found on Red Knot's website. Delivery can be scheduled within 1-2 weeks. Pickup can be scheduled within the week. Additional time may be required for Neighbor Island orders. 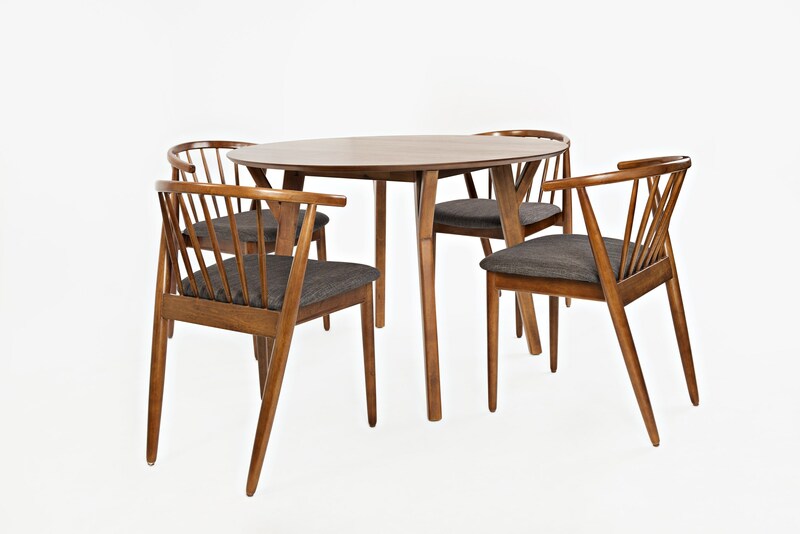 Sleek and simple, this dining group is a tribute to the streamlined style of iconic '50s and '60s furniture trends. Scaled to fit smaller spaces, this group was made for long dinners with friends and late evenings playing cards. The Copenhagen 5 Piece Dining Package by Jofran at Red Knot in the Oahu, Honolulu, Kapolei, Pearlridge, Salt Lake, Hawaii area. Product availability may vary. Contact us for the most current availability on this product. Browse other items in the Copenhagen collection from Red Knot in the Oahu, Honolulu, Kapolei, Pearlridge, Salt Lake, Hawaii area.